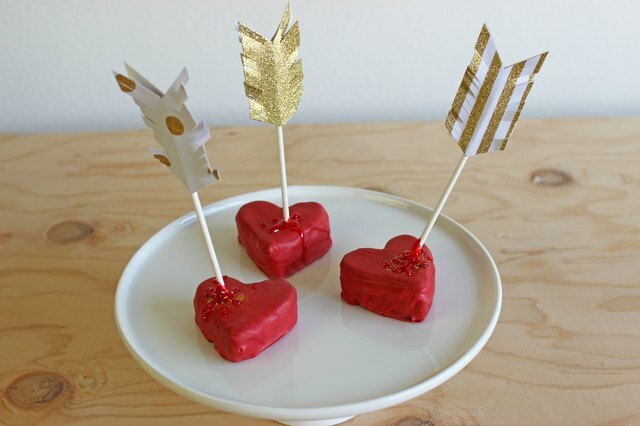 Whether you're celebrating Valentine's Day or Singles Awareness Day this year, you can still count on enjoying all the sweets! 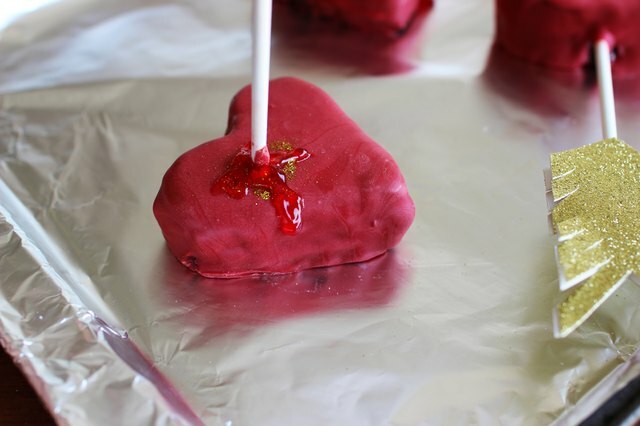 Take a stab at this simple and fun Valentine's Day cake pops tutorial with a bloody twist. 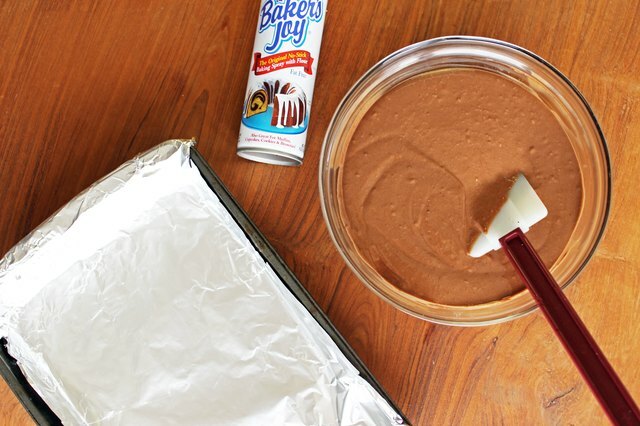 Bake your cake per the instructions on the box/your homemade recipe. 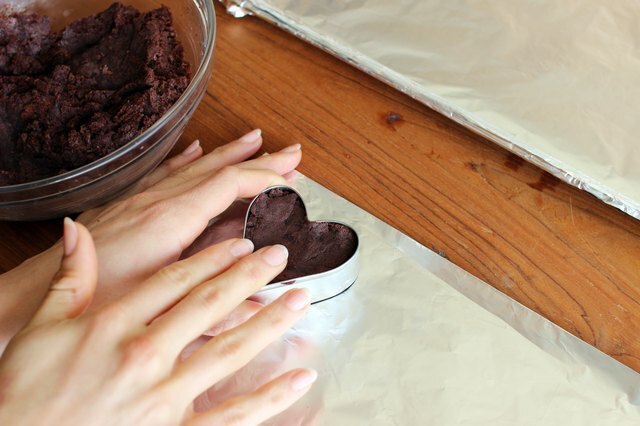 Lining your cake pan with tin foil helps aid in an easier clean up! 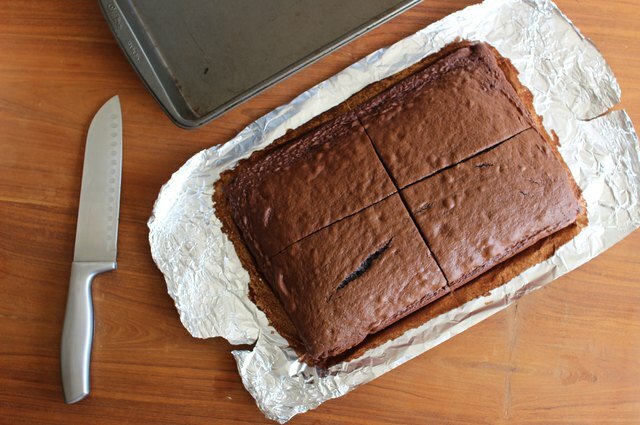 You can pull the cake out and save yourself a trip to the sink to scrub the caramelization off. 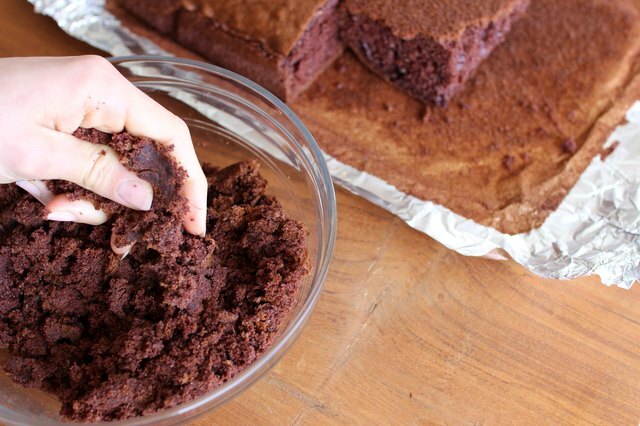 Allow your cake to cool entirely. Cut it up into sections (making it easier to handle) and crumble into a large bowl. 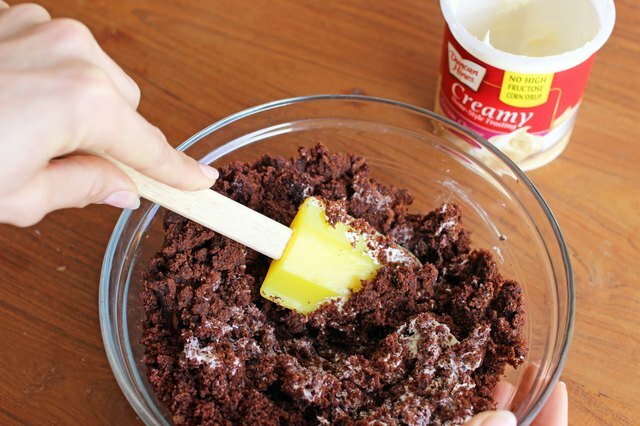 Once you've crumbled your cake, grab your choice of frosting and scoop one large spoonful. Mix that thoroughly and add more as needed until the texture is like play-dough. 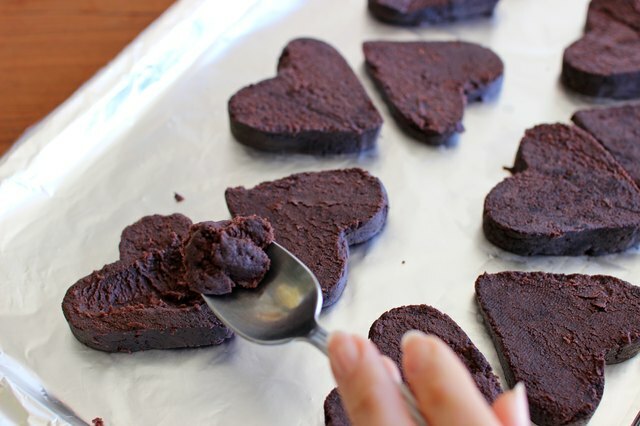 Grab your heart-shaped cookie cutter and scoop out enough cake mixture to fill it up. 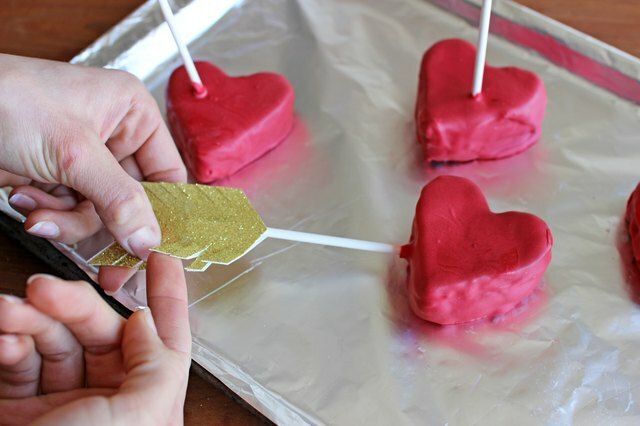 Roll it into a smooth ball so it sticks together, then press it down into the cookie cutter. 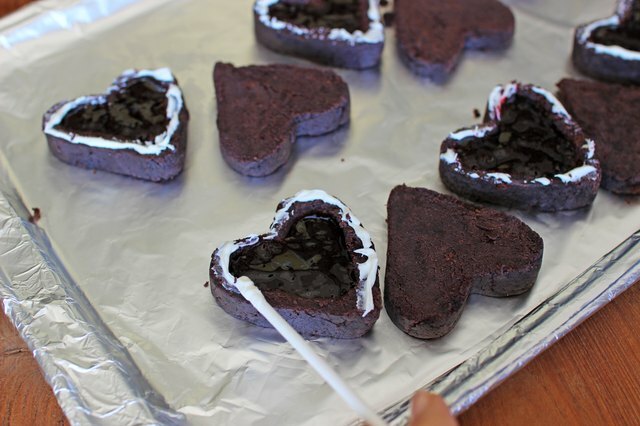 Press your cake ball into the heart cookie cutter, making sure to mold it completely to the shape. Then, gently push your cake out of the mold. 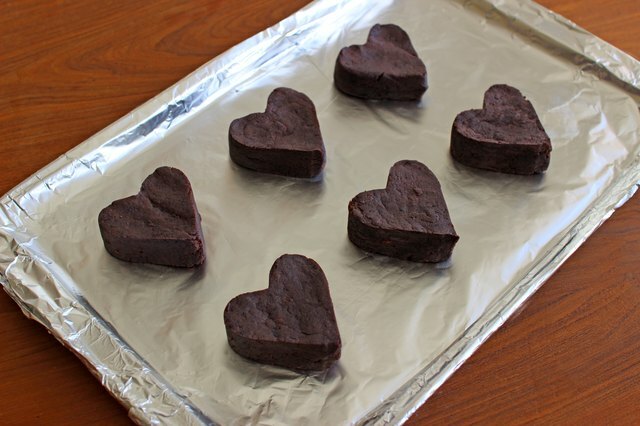 Chill the heart cakes in the refrigerator for 10-20 minutes until firm. 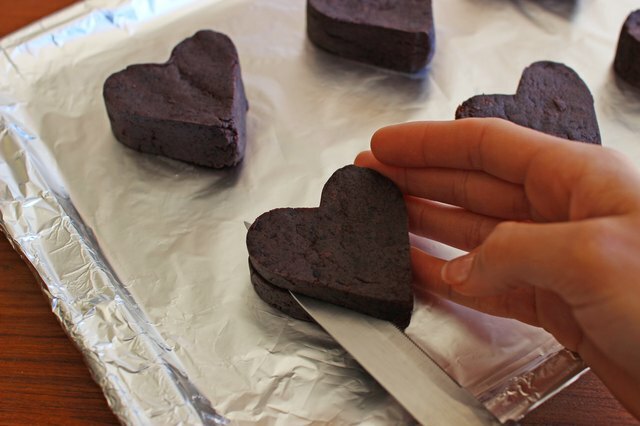 After the hearts have chilled for a bit in the fridge, take them out and cut them in half. 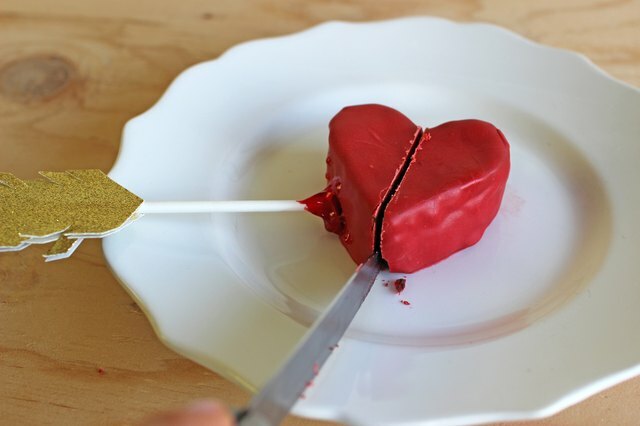 Carefully hollow out one side of each heart with a spoon. Then fill the hollow side up with the seedless raspberry jam. 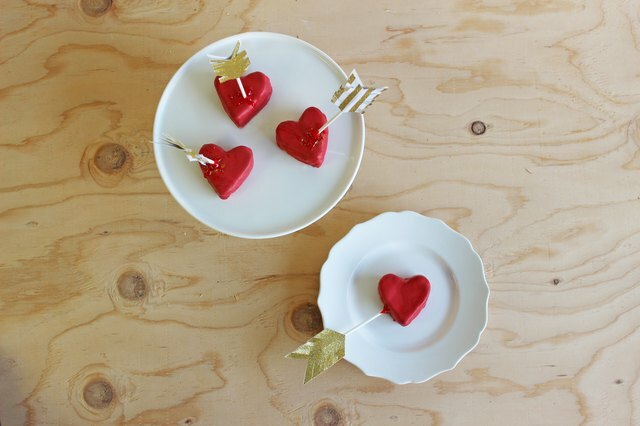 Take a bit of frosting and pipe it along the edges of each heart like glue to bond the tops back on. Then place the cakes back in the fridge to chill for another 10-20 minutes. 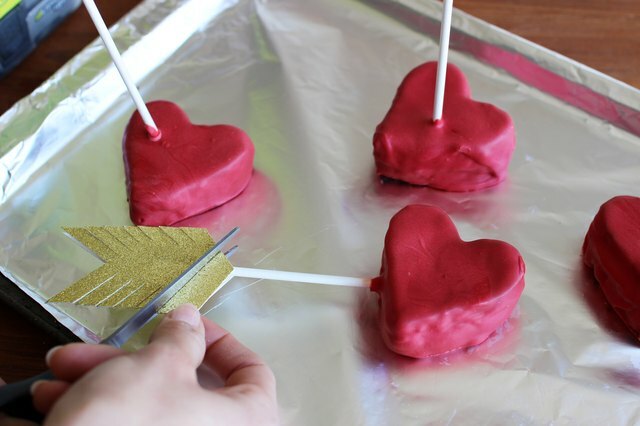 Melt down your red chocolate and dip the tip of your cake sticks into it. 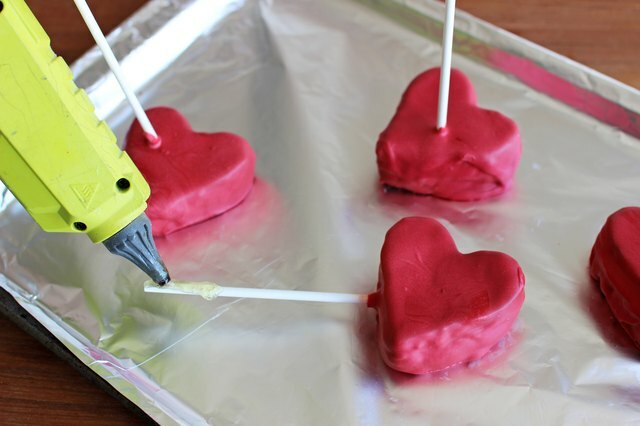 Place the sticks into your heart cake pops anywhere you'd like. I got creative and went for different angles. Remember that this is supposed to look like Cupid shot his arrow into the hearts from afar, so have fun with it! Add some of the melted chocolate to the seam where the frosting was to secure it more. 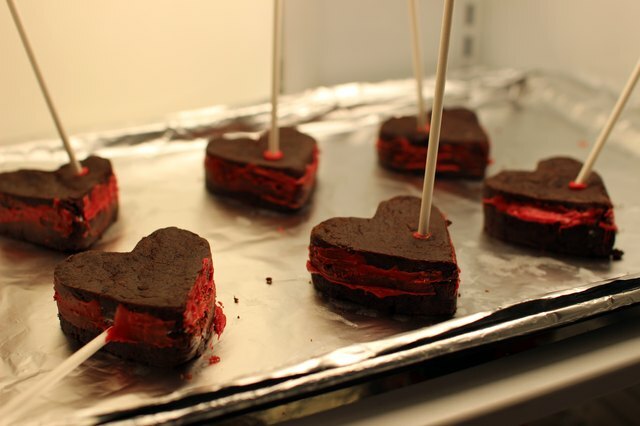 Place the cakes back in the fridge until the chocolate dries and firms. 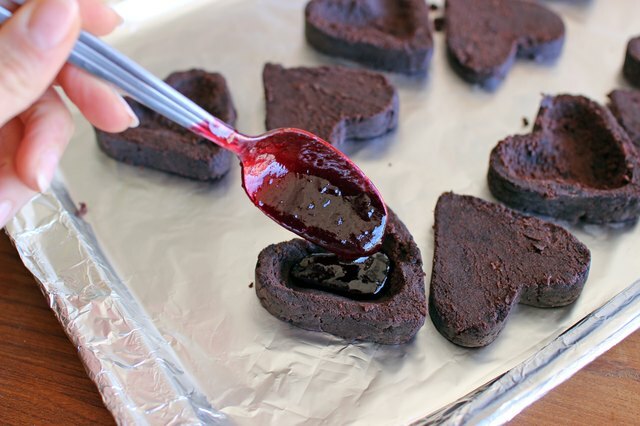 Take your hearts out of the fridge and cover them in the red melted chocolate. 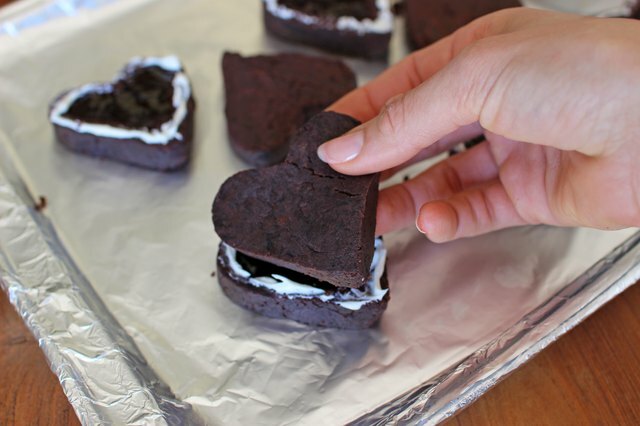 Shake the excess chocolate off and place the cakes on your cookie sheet to harden. 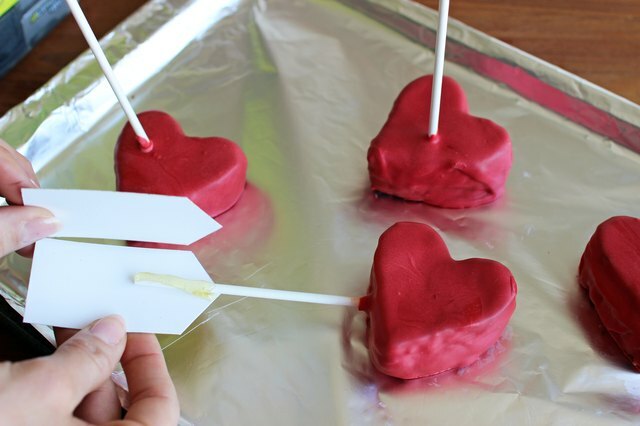 You can detail your cake pop arrows however you'd like. 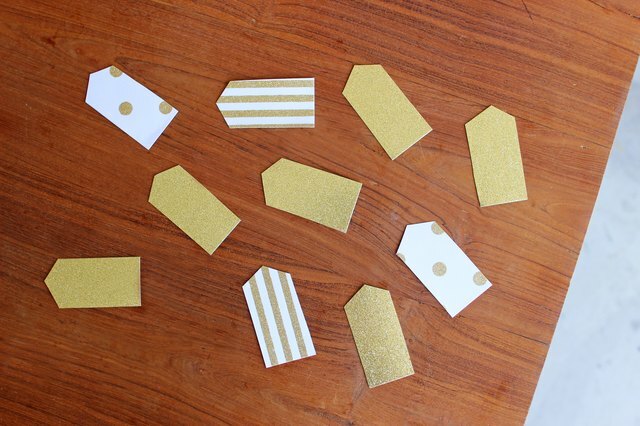 Get creative and switch up the colors or patterns. 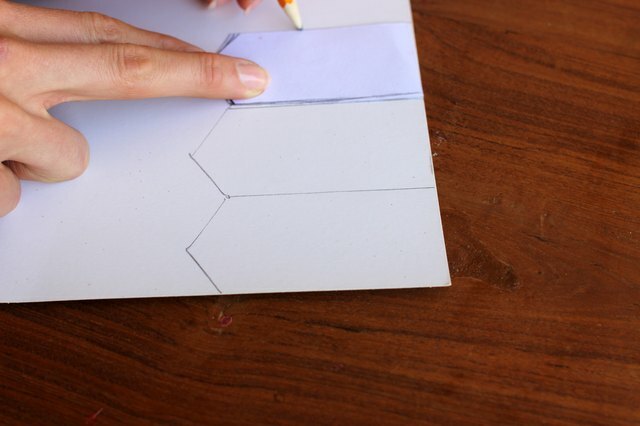 Sketch out an arrow tail shape and trace it multiple times onto your construction paper, then cut them out. 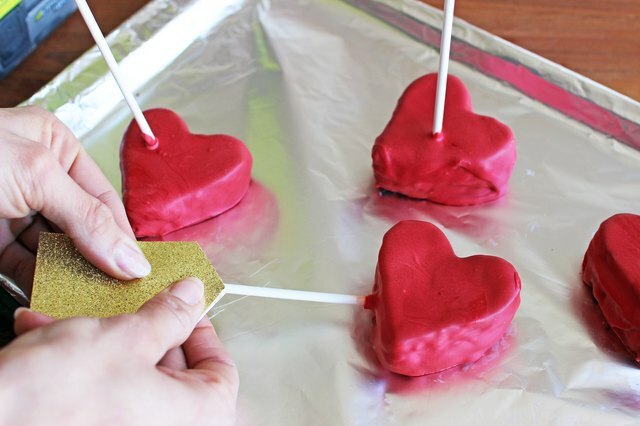 Cut two tail pieces for each cake pop you are making (example: 10 cake pops = 20 tail pieces). 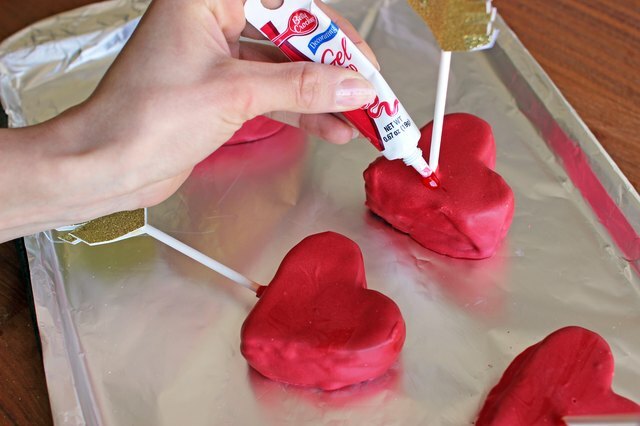 Hot glue the sides of the arrow tails back-to-back onto each tip of your cake pop sticks. Cut diagonal slits on each tail, then fray the slits a little bit to give them more texture. 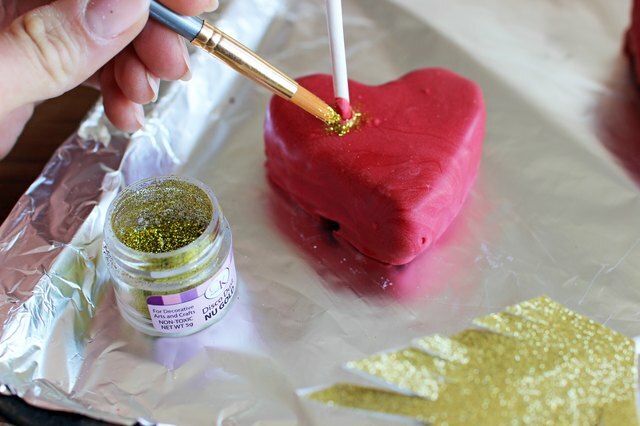 For more flare, add gold glitter as the "love dust" on the tip of Cupid's arrows. 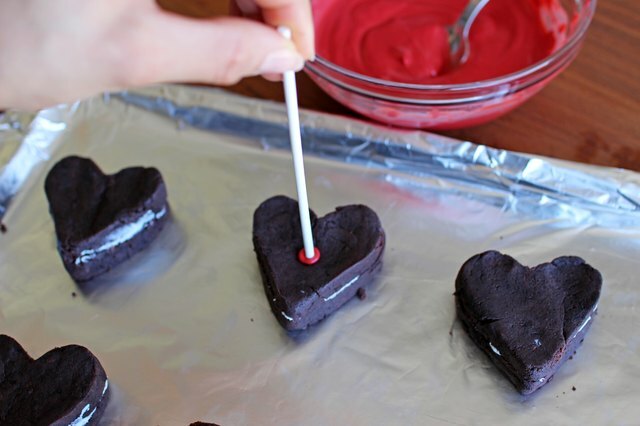 Step 10: Pipe On Some "Blood"
You can find food decorating gel at most grocery stores. 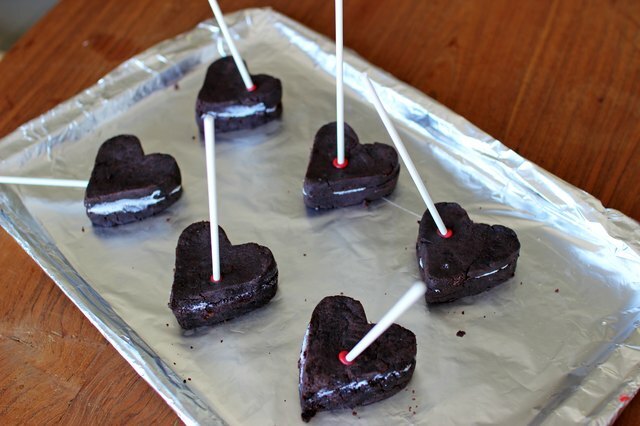 Pipe the gel around the base of the cake stick so that it will drip down like blood. The cakes are now ready to set out and serve! They instantly enhance any dessert table and are absolutely delicious. The raspberry filling is the perfect touch (and a refreshing complement to the chocolate).